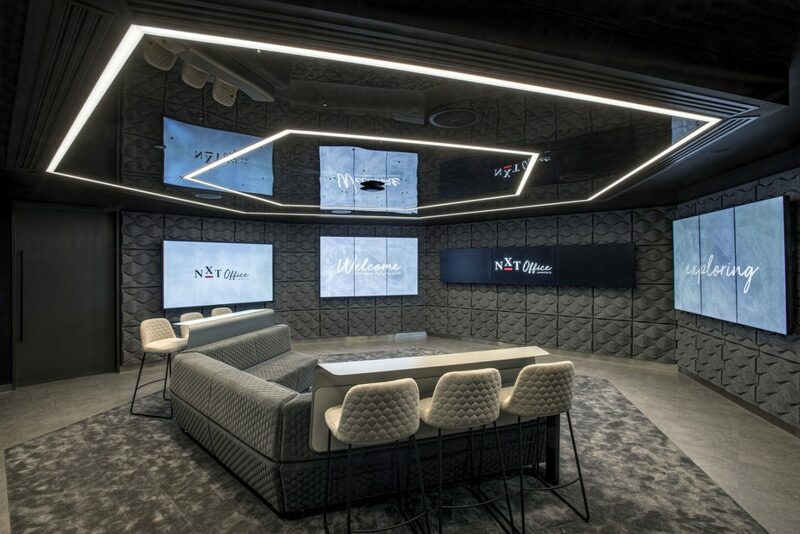 This year, JLL UK launched the NXT Office, a futuristic presentation space in the heart of its London headquarters, incorporating ground-breaking technologies including Mezzanine™ from Oblong Industries, an immersive visual collaboration system, designed to reinvent the customer experience. The award-winning NXT Office* has had a positive impact on productivity, with decisions that would previously take numerous weeks and multiple meetings, now often taking just one hour. 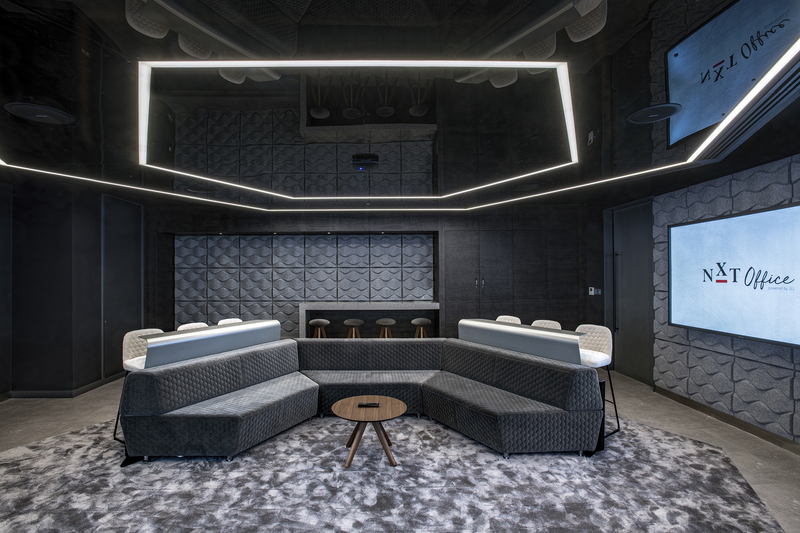 JLL required a truly immersive collaboration solution for its NXT Office concept, to elevate the company’s service proposition beyond that of competitors. JLL was looking to deliver dynamic, content-rich presentations with an instant wow-factor, enabling their property consultants to display large quantities of data in a streamlined viewing format to improve the client experience. JLL wanted a pioneering solution to reinvent the client journey and drive the property market of the future, with the capacity to share information, facilitate ideation and drive quick decision making. 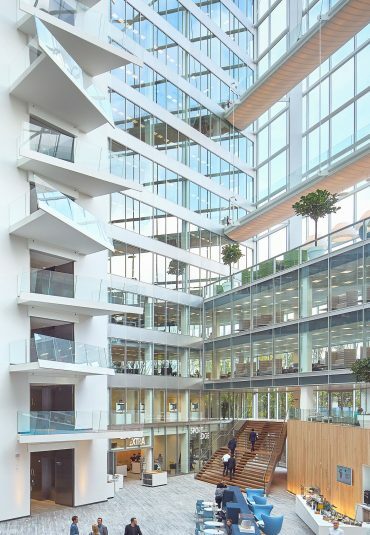 The NXT Office is intended to accelerate the office shortlisting process, giving decision-makers an exact picture of the market landscape across one immersive, and impressive, viewing platform. Powered by Oblong’s Mezzanine technology and in collaboration with integrator Partner AVEX, the NXT Office offers an immersive and ultra-connected workspace where decision-makers can gain a new perspective on new office buildings and share ideas across teams in an agile and collaborative way. 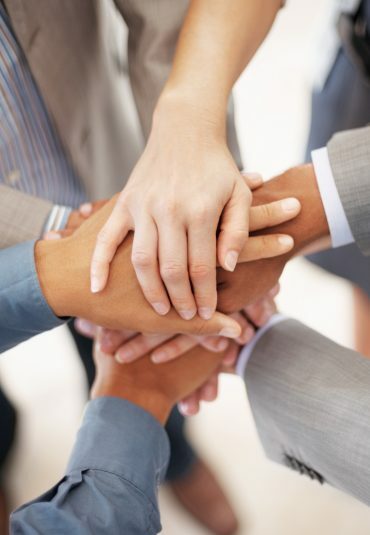 Mezzanine creates a visually immersive environment for teams to do their most important work. The dynamic multi-screen workspace commands attention when presenting information. 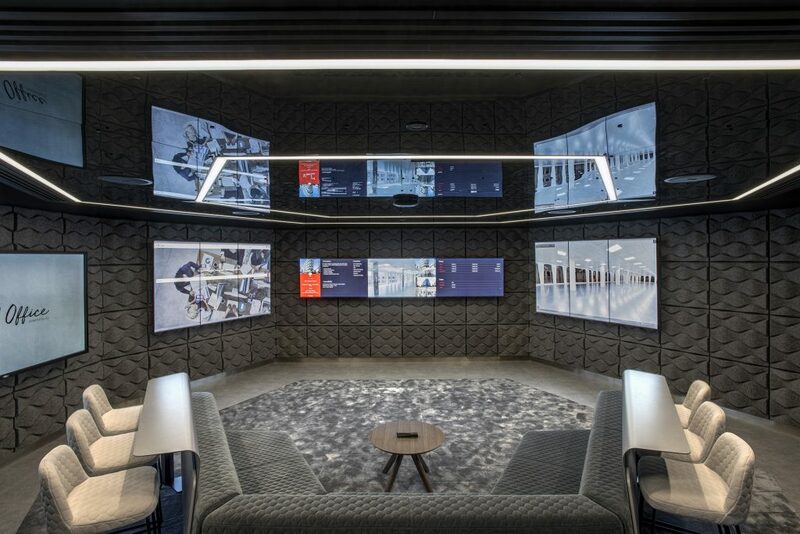 NXT Office users are able to interact with data, physically manipulating information and images across nine interconnected screens through Mezzanine’s intuitive motion sensors. The office accommodation search process has been completely disrupted and replaced with a dynamic and creative experience. Full transparency: by accessing the entirety of the office market via a single interface, the NXT Office user can view all the available property across 9 inter-connected screens, take full control of research and define the selection of property with unmatched autonomy. 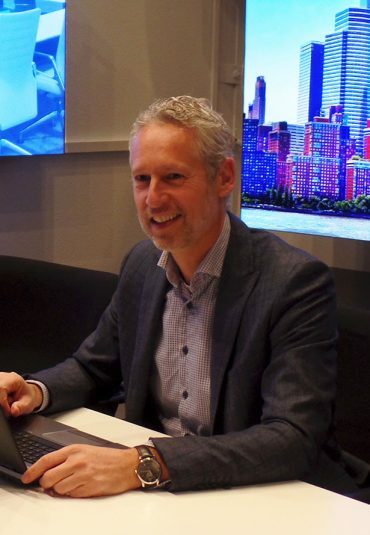 Big Data: welcome to Smart Real Estate– Because the choice of new premises should integrate multiple economic, social and environmental factors, NXT Office is connected in real time to multiple intelligent databases. Users can put their research into perspective with market conditions, the quality of the environment, neighbourhood dynamics and accessibility criteria. A Visual Experience – The user can move freely within the selected buildings, totally immersed in the environment on an ultra-realistic virtual tour. This provides prospective buyers and renters with a full understanding of the quality of the property so that they establish a short-list of offices with confidence. Mezzanine coupled with JLL’s large database allows the company to present all real estate options in the capital to their customers within an hour, saving clients a tremendous amount of time. The NXT Office experience includes a virtual tour of the properties and all relevant information for the client to enable him/her to make a faster decision. 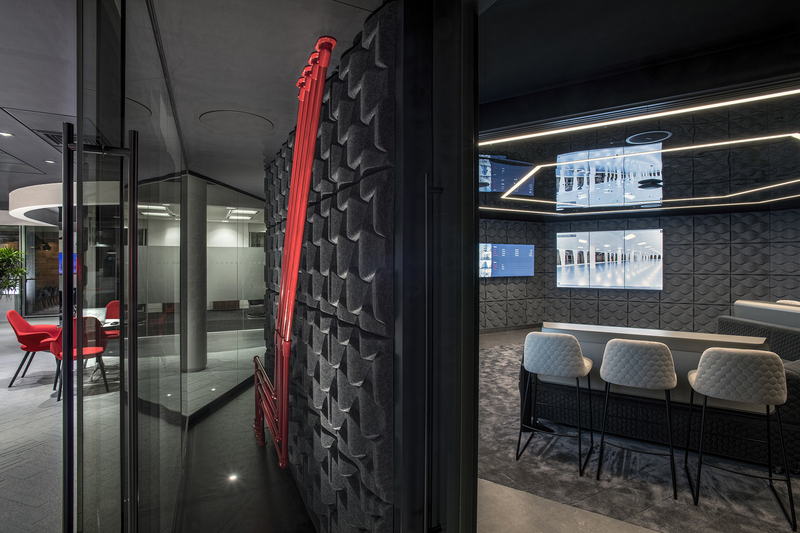 The launch of the NXT Office in London marks a key phase in the roll-out of this dynamic concept which is also successfully in operation at JLL’s Paris headquarters, also powered by Oblong’s Mezzanine. With this initial success, JLL is exploring the possibility of reproducing the NXT Office in other key locations. A recent study by Forrester shows that Mezzanine technology pays for itself in just eight months and offers an ROI of 226% in just three years. 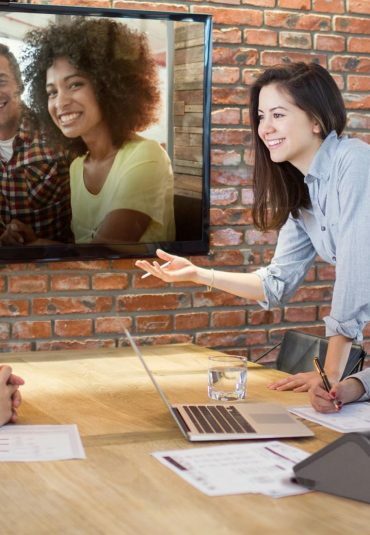 To bring the benefits of immersive collaboration to more teams in more places, Oblong recently introduced the Mezzanine 200 Series. The superior experience of Mezzanine is now available for smaller teaming spaces, where most of the work is done and numerous decisions are made every day.